Agnès Varda’s small but mighty exhibition blurs media and spans nearly sixty years of her artistic production, with the humble potato at the root of it all. A three-channel video-installation called “Patatupia” and photographs of heart-shaped potatoes comprise a body of work Varda created in the early 2000s. 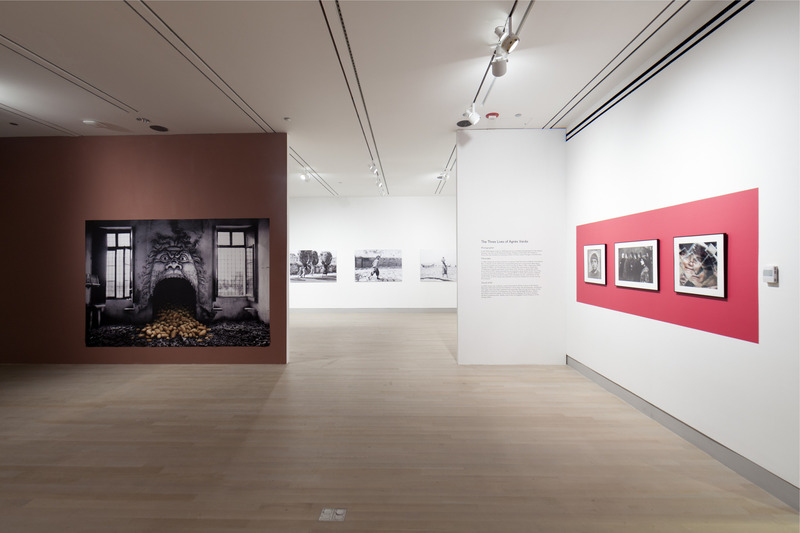 Presented centrally in the exhibition, which is titled “Photographs Get Moving (potatoes and shells, too),” this work marks the French filmmaker and photographer’s entry into her “third life” as a visual artist. Lovingly captured in close-ups, her rotting or budding potatoes resemble human skin, at once beautiful and bursting with tumors, tangled in a web of tentacle-like sprouts. This ability to transform the mundane into a source of inquiry and wonder is the distinguishing mark of Agnès Varda’s interdisciplinary practice, seen here in brilliant clarity. Varda is best known as the female member of the Nouvelle Vague and for films like “Cléo from 5 to 7” and “Vagabond,” but she began her career as a photographer. Throughout her practice, she defied categorization and created her own path. Her films weave frank narrative and original documentary approaches in a distinct process she called cinécriture, or “film writing.” In the Logan Center exhibition, Varda’s humorous observations move seamlessly across photography, installation and moving image. 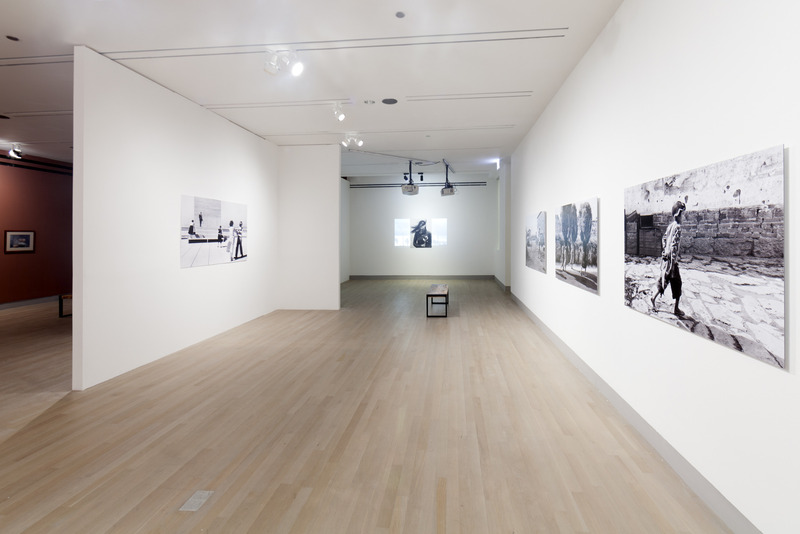 Her work’s disregard for categorical media boundaries brings to mind Varda’s Austrian contemporary VALIE EXPORT, whose “expanded cinema” burst through the screen into performance, and its in-depth examinations of the quotidian reminds of fellow French artist Sophie Calle’s conceptual practice. Through November 8 at Logan Center Exhibitions, 915 East 60th.